Cameron Neal is a student at St. Helen Catholic School in Dayton, OH. He has two bothers and a younger sister. In April 2010, Cameron was diagnosed with Anaplastic Ependymoma, a rare form of brain cancer along with Von Willebrand Disease Type 1, which is a bleeding disorder. 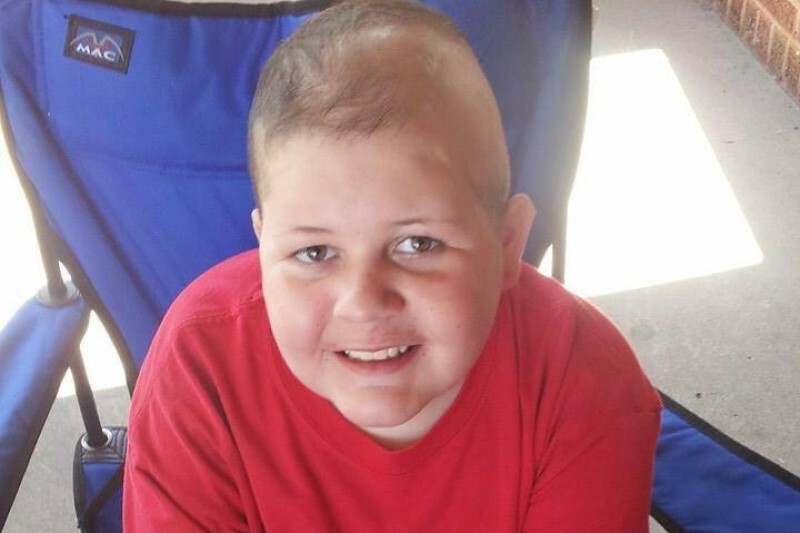 Cameron has been through many surgeries in many different states. Cameron nor his parents have ever given up, if they heard there was a chance they were on their way to give it a try. Camron has also been through many radiation treatments, all while attending school, and always having a contagious smile on his face. Almost every morning he was holding the door open for all the students entering their school day. Cameron and his parents, were given the worst news possible, and they would like to focus all of their time directly on Cameron. Camerons dad should not be working over time to pay their families bills, the bills don't stop when your world does. Cameron doesn't have life insurance, and they have been in contact with many funeral homes, all of which have told them they will need all of the funds prior to services. Please help this family if you are able to. Everything and anythng is very much appreciated. I started this page with a goal of $2,000 knowing the Neal family had far beyond that in expenses. But, I never guessed we would help this family this much. Every single one of you are amazing. This community, our school community and complete strangers have went above and beyond. Thank you all! They are still a few thousand dollars short of Cameron's final expenses. Please continue to share the page, and please continue to pray for the Neal family. We reached the goal, which would roughly pay for half of Cameron's services. Yall are awesome. Please continue to share, I think we can help them even more! It is with a heavy heart that we inform you that Cameron passed this morning. The family requests no visitors at this time, but lots of prayers are needed. Additional information will be shared as arrangements are made. Please help this family with final arrangements for Cameron. The Neal family is beyond grateful with all of the donations, prayers, and community support. September is national childhood cancer awareness month. There needs to be a cure for this awful disease. I am very sorry. My heart goes out to your family. From your Airway Dairy Queen community. Your smile will never be forgotten. Our deepest sympathy on your loss. Prayers for comfort.